Country Store and Catering in Sycamore, Illinois – The Butcher Shop That Cooks! Family owned and operated. Located in Beautiful Sycamore, Illinois, just 2 blocks from downtown. Serving the community for over 30 years. Come stop by for the best homemade meals in the area! We have our charcoal grill going hot everyday and our meals are prepared fresh with homemade ingredients and the best USDA Choice Meats you will find. We also are considered by many as the very best Caterer in the area! Talk to us about making your event extra special! Open for Lunch & Dinner 6 days a week. 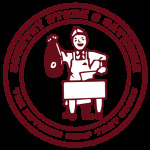 Country Store & Catering is truly The Butcher Shop That Cooks! Stop in for Lunch or Dinner, cooked outside on our grill, six days a week! What's for dinner tonight? Stop in to our well stocked Butcher Shop and find something unique! We also carry side dishes and desserts for a complete meal at home! From Weddings to Business Lunches, to Festivals, Country Store & Catering is known for it's Award Winning food, awesome presentation and variety of dishes available. Call us today and let us do your event up right!